Creating an Ecommerce Online Store is easy. Just choose a design, add your products and start selling! Selling your products online could not be more easy when you order your ecommerce online store from us. Business owners across the world run successful stores with our help. You can sell fashion, electronics, sporting goods, furniture, even food. We offer over 1500+ store designs to choose from, customize everything in your store – from images and text to colors. Step by step wizard to configure your store. We offer 24*7 support to you and the price which everyone can afford. Do check all its features given below. Check our Ecommerce Online Store. .
Everything you need to open your own ecommerce online store. No technical skill is needed here. Our ecommerce online store makes it easy to create professional and beautiful storea that accept every major credit card, integrates with Google® and eBay® and offers multiple shipping options(domestic & international) – all with no set-up fee! Every online store has a secure panel through which you can easily add your products. Make your mark with your online store. We have hundreds of store designs to choose from, you can even customize your store to fit your style. It just involves three basic steps. Choose from over 1,500 design and color combinations. Choose from 14 Category page styles and 11 Product Detail page styles. Find the best layout for your products. Add your logo and choose colors, fonts, images, navigation and more. Make product categories and subcategories and add your products to them. Specify your product details like SKU, description, pricing, shipping and inventory tracking. Create featured products, to catch visitors eye, sale pricing and coupons. Choose product associations, cross-sells and up-sells. We provided even greater flexibility with Store Setup Wizard which take you through your shipping, tax and payment options in step by step formation. Preview your store before publishing it online. Customer registration in secure fashion and easy-to-use checkout options. Ship to all countries like USA, Canada, Mexico, India, China, Germany, Japan, etc. View reports to track revenue, orders and store performance. Powerful features that help you to increase your revenues and sales. 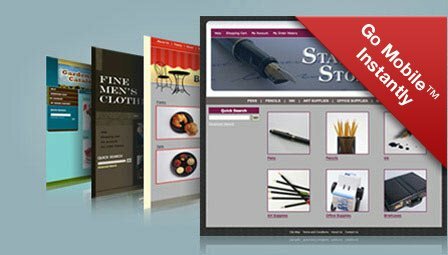 Ecommerce online store makes it easy for anyone to start their own online store. Their is no limit on the type of products you want to sell. We have integrated rich collection of advanced features allowing you to promote your store with just a few mouse clicks. The stores are also mobile and tablet friendly. NEW! Look amazing, in every device like mobiles and tablets too. We automatically convert it to a mobile masterpiece. Select the best from over 1,500 design and color combinations, 14 Category page styles and 11 Product Detail page styles. Put your logo into the store and create your brand image. Greater flexibility by having easy product edition. Create custom navigation to integrate your store with your other Website. Step-By-Step Store Setup wizard makes your understading of the store areas easy. Provide your product details, like SKU, description, pricing, shipping and inventory tracking. Add and manage product images, including enlargements. Deluxe and Premium plans users can add up to five images per product in their store. Create nested categories to provide even better navigation. Be always happy as there is no setup or percentage-of-sales fees. It has got many muscles – you can get real-time U.S. and international shipping rates from UPS, FedEx and the USPS. Don’t want to use them? Just add your own custom shipping rates. Built-in shipping and tax calculators help you to calculate your shipping rates easily with perfection. Show your featured products in the sidebar. Set products for a rotating display option available in the store. Create product cross-sells and up-sells and suggest related products to your customers. Create different coupon codes like percentage off, price off or free shipping. Create pre condition in coupons like available in minimum amount purchase. Create special discounts when buying items in more than 1 quantity. NEW! Increase shopper buying experience by giving them options to rate and review products from other customers. This factor helps your store rankings in search engines like google, bing and yahoo. Ecommerce online store are 100% search engine friendly and SEO optimized. Track the response of your marketing campaigns (emails, advertisement in other websites) easily in auto generated reports. Easily add products to Google® Product Search and eBay® for maximum exposure. Reports section gives you the ability to find new orders, check inventory status and member activity. Search and filter orders and also converts and download them to a Microsoft® Excel file. Take credit card payments, manage shipping and tracking information and print shipping labels. Never miss an order as you will get real time email alerts for every order you receive. FREE hosting with 99.9% network uptime guarantee. Round the click support through phone, email and online chat. SSL Certificate integration to bring high class security when processing credit cards. Customer login and checkout in a secure manner. Website Builder: It combines with your store and gives it a content-rich website. 200+ common designs available to choose from. eBay: Integrated with eBay listing tool. Google Product Search: Help customers find your products online in google shopping and search results. Microsoft Excel: Import and export data in excel format. Atandra T-HUB: Integrate with multi shipping services like UPS, USPS, and FedEx with T-HUB multi-channel order manager.